Light, fresh, clean, lean green apple fruits with a touch of spice. Michael Malat suggests it as a breakfast wine; I would say lunch. Perfect sipped solo or with shellfish. 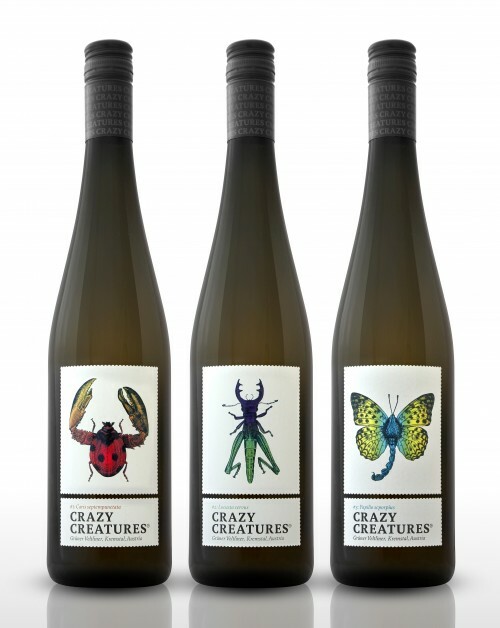 There is a series of Crazy Creatures labels, signifying the fun ‘pop and go’ nature of the wines. The Austrians were in town last week, and I tasted a fantastic array of scintillating white and red wines. The Austrians don’t really do cheap, but they don’t really do bad wine either; there was hardly a dud in the entire tasting. Grüner Veltliner is the national specialty; it ranges in style from crisp and dry to rich and textured. Either way, the wines are great to sip on their own, and are one of the most food-friendly wines of all.